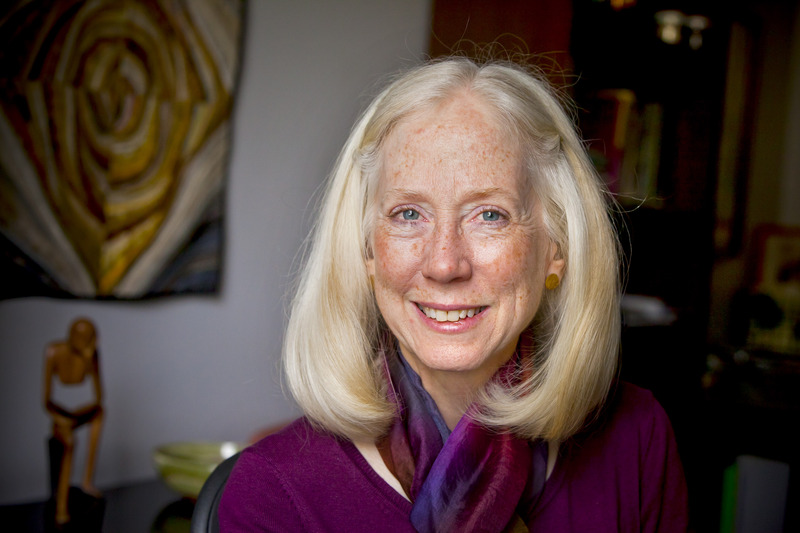 Peggy Barlett, Goodrich C. White Professor of Anthropology, is the recipient of this year's Thomas Jefferson Award. Emory Photo/Video. Peggy Barlett has this advice for graduates: "Don't listen to the people who say ‘conform to the rules and stay practical.' Listen to your inner wisdom about where this country needs to be and what you can do to help it get there." Barlett, the Goodrich C. White Professor of Anthropology and faculty liaison for the Office of Sustainability Initiatives, embodies that advice. She is the recipient of this year's Thomas Jefferson Award, the University's premier honor for significant service to the institution through personal activities, influence and leadership. Barlett joined the Emory faculty in 1976. The campus, the city and the world had a much different mindset. Many people appreciated natural beauty and worked to maintain it. But broad-based approaches to sustainability were largely confined to specialists like Barlett, who studied the intersection of economic, ecological and demographic change among farmers. Entering the 21st century, amid growing awareness of the greenhouse effect, attitudes began shifting. A pivotal moment at Emory occurred in 1999, when the decision to build a shuttle route in Lullwater forest sparked controversy. "I began to see more energy on campus around environmental concerns," Barlett recalls. "I decided to take a year off from research and spend that time seeing if we could galvanize some of that momentum." It was a risky move, since sustainability work on campus didn't fit into the conventional role of faculty. "I thought I was going to run into a brick wall," Barlett recalls. "One person urged me, ‘Just keep calling the meetings, Peggy. Things will change.' To my surprise, people started showing up and expressing interest, at all levels. A lot of people who love Emory wanted to help create a better future." Barlett began serving as the sustainability point person for faculty, staff, administrators, students and alumni, planting the seeds for Emory to become a nationally recognized green campus. The Piedmont Project, for example, infuses sustainability into the curriculum across disciplines, and has become a model for the country, inspiring hundreds of others. Meanwhile, she published prolifically. "Sustainability on Campus: Stories and Strategies for Change," co-edited by Barlett, offers firsthand accounts, both inspiring and practical. Barlett also helped develop the Sustainability Vision for Emory, adopted by the President's Cabinet in 2005 as a core principle of the University's strategic plan. The vision called for an Office of Sustainability Initiatives, and laid out clear and ambitious goals to achieve by 2015. Among them: Reduce average campus energy use by 25 percent, reduce the total waste stream by 65 percent, and procure 75 percent of the food for campus dining facilities from local or sustainably grown sources. "Ultimately, the goal is to help prepare students to be leaders in a different world," says Barlett, who doesn't take a pessimistic view of the sustainability challenges they face. "This is an exciting time to be part of change, so much is happening. Businesses, governments and nonprofits are moving dynamically. Whole new professions are emerging around sustainability."